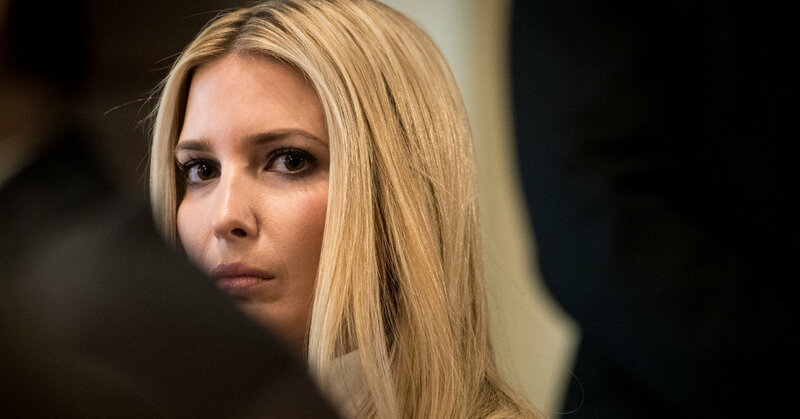 WASHINGTON — President Trump’s oldest daughter, who serves as a senior adviser in the White House, denied on Friday that her father was involved in issuing security clearances for her or her husband, Jared Kushner. Her comments marked the first time that she has spoken about the clearance issue that dogged both her and her husband for the first year of the administration. She described the delays — which lasted into May 2018 — as part of a normal course of business. “Her comment is not as black and white as she portends it to be,” Mr. Zaid said. She and Mr. Kushner, who has a broad portfolio including Middle East policy, received clearances last year, after what multiple officials within government described as delays caused by concerns that the F.B.I. and the C.I.A. flagged about their foreign contacts and private business. The questions surrounding their clearances lingered for many months. But when Mr. Kushner received a clearance in 2018, his lawyer, Abbe Lowell, described it as a normal process. A report by NBC recently revealed that career White House security specialists had rejected Mr. Kushner’s clearance twice, but were overruled by their supervisor. A senior administration official confirmed that account to The New York Times. In a recent interview with The Times, Mr. Trump said he had no role in getting officials to give his son-in-law a clearance. December 7, 2018 Comments Off on The Week in Tech: Facebook Is in the News. Again.